We see a lot of Raspberry Pi projects on these pages featuring all variants of the little board from Cambridge, but with one notable exception. Surprisingly few of them have featured its industrial embedded cousin, the Raspberry Pi Compute Module. The Pi-on-a-SODIMM form factor is a neat idea, but we are guessing that the high price of the development board relative to that of a Model B or a Pi Zero has pushed most people in our community towards the latter choice. [Kevinhub] noticed there were quite a few FPGA hats for the Raspberry Pi. Instead going out and buying one of these boards like a filthy commoner, he decided to spin up his own FPGA Pi accessory. This IceZero FPGA board combines the best features from other FPiGA boards, and does it in a form factor that fits right on top of the minuscule Pi Zero. If you think slapping a Lattice FPGA onto a Pi has been done before, you’re right. Here’s a hat for the Pi using an iCE5LP4K-SG48, an FPGA with 3520 LUTs. The CAT Board from Xess has a slightly bigger FPGA with 7680 logic cells, and the FleaOhm has a monster FPGA on board that costs about $70 USD. [Kevin]’s IceZero is at the lower end of these Raspberry Pi FPGA hats, using a Lattice ICE40HX4K. That’s only 3520 logic cells, but it only costs about $7 USD in quantity one. The board design is a standard two layer board that shouldn’t be too terrible for hand soldering. The boards are shared on OSH Park, should you want to test this little guy out. This Pi Hat is specifically designed to be used with Project IceStorm, the Open toolchain for Lattice’s iCE40 FPGAs. 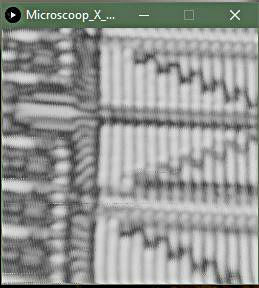 That means there’s already a few projects out in the wild that can be easily ported to this platform, and already [Kevin] has a logic SUMP example going on his board. This Friday, February 10th, at 9am PST, Hackaday.io will be graced with one of the greatest hardware creators in recent memory. 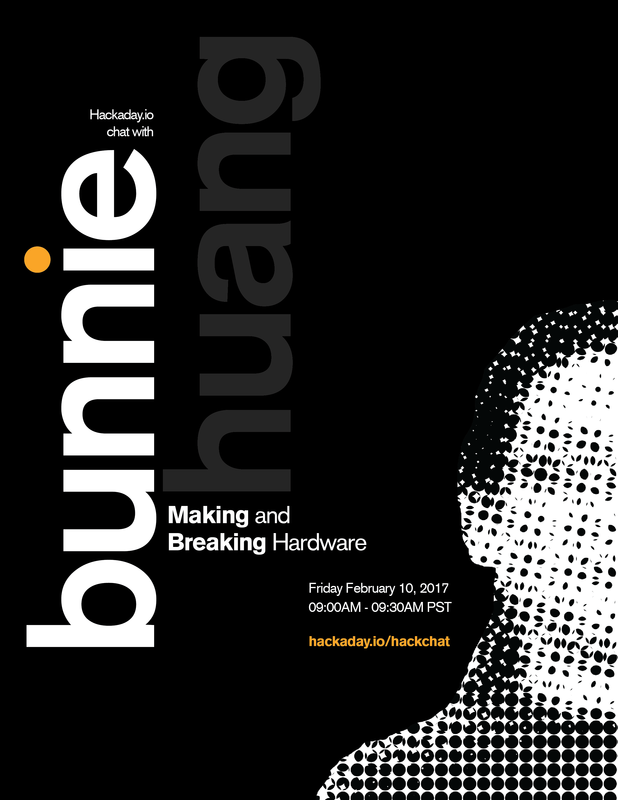 [Bunnie Huang] will be talking about making and breaking hardware in the Hackaday.io Hack Chat. [Bunnie] is a nearly peerless hardware hacker. He literally wrote the book on hacking the XBox, developed the Chumby, and developed the Novena, an open source Laptop. He’s torn down the Form 2 3D printer, explored the iPhone’s hackability with [Edward Snowden], wrote the book you want to have on your carryon when flying into Hong Kong, and recently released The Hardware Hacker, a retelling of his adventures in hardware hacking. He’s now working on the Love to Code platform. [Bunnie] is a bridge across worlds. There is no one else so deeply embedded in the world of electronics manufacturing that is also willing to tell the world about what he’s found. If you want to learn about electronics, the Bunnie Studios blog is a mandatory read. For this week’s Hack Chat, [Bunnie] will be taking questions from the Hackaday.io community. If you’ve ever wanted to know what it takes to build a few thousand things, this is the guy to ask. Having trouble figuring out when 09:00 PST is in your local time zone? Here’s a countdown timer! Our Hack Chats are live community events on Hackaday.io Hack Chat group messaging. Log into Hackaday.io, visit that page, and look for the ‘Join this Project’ Button. Once you’re part of the project, the button will change to ‘Team Messaging’, which takes you directly to the Hack Chat. These Hack Chats are a weekly thing, and we have a few more on the books. Next week, we’ll be covering RF design with [Jenny List], and later going over mechanical manufacturing with Fictiv. You can check out all the upcoming Hack Chats on this project.